Total Living Care strives for 100% satisfaction. I promise a thorough clean every time and friendly service. We are Insured for your protection. Proud member of cleaning for a reason. 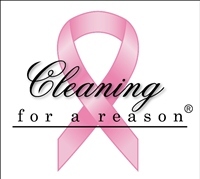 We offer free cleanings for women undergoing treatment for cancer. We offer discounts to seniors and veterans!